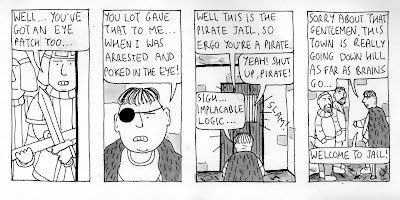 Here's a very nice review of 'Behind Thick Glass' my latest comic, from Rob Clough at his High Low blog. Thanks Rob! 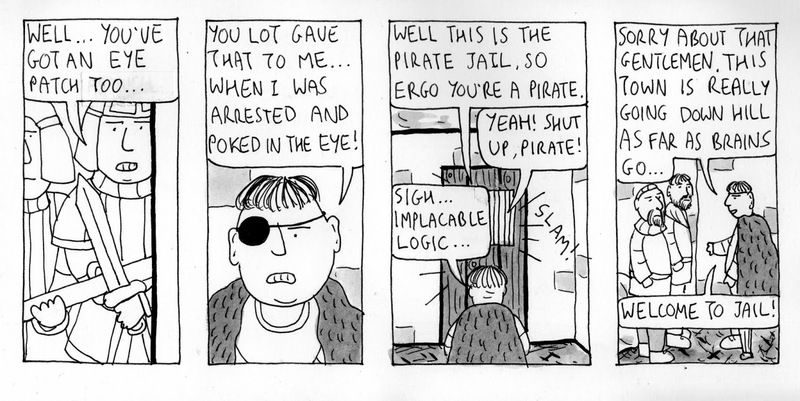 This comic is still on sale at my website. 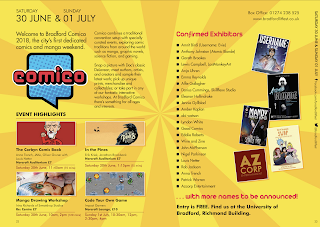 This Saturday and Sunday I'll have a stall at the Comico event which is part of Bradford Literary Festival. 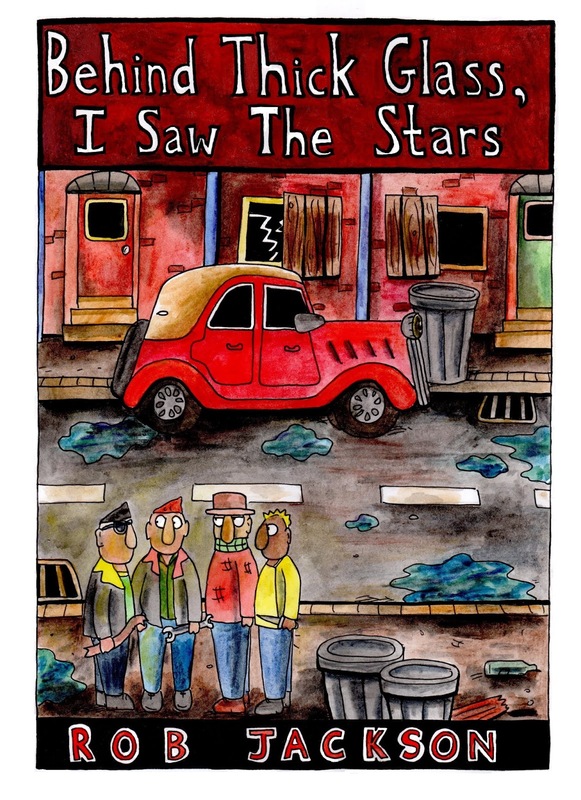 I'll have my new comic 'Behind Thick Glass', the 'Volunteers' trilogy and lots of my older comics. 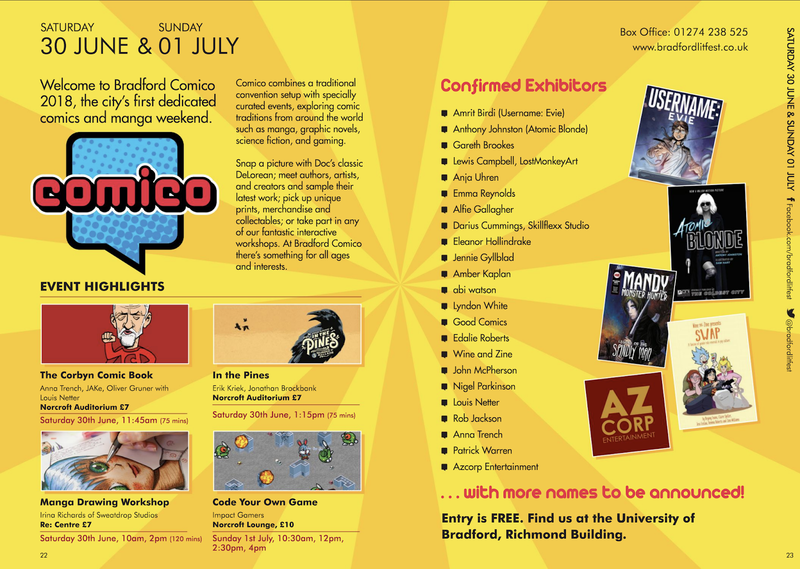 please come along and say hello if you are near Bradford. Thanks! 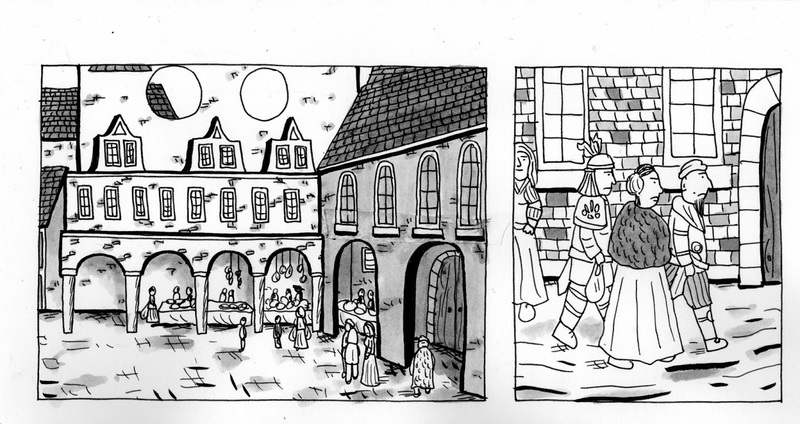 Here's todays row of panels from my Hanseatic set story in progress. I have done forty pages now. 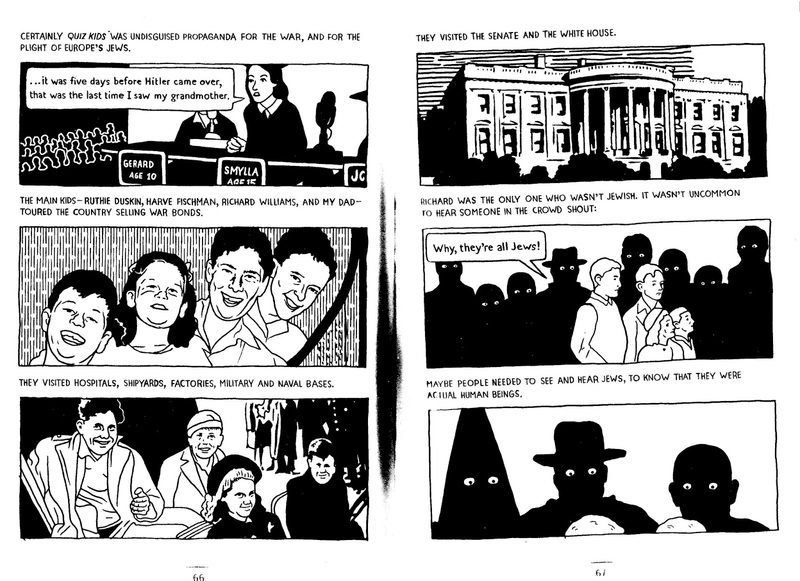 Here's todays row of panels from my story in progress. Today's panels from my comic in progress. 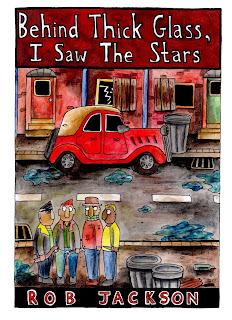 Here's a little review for my 'Volunteers - Issue One' at the Syndicated Zine reviews site. Thanks for the review! Still plenty of copies of all three issues of this series for sale at my website. Cheers! Here's todays row of panels from my comic in progress. More rows of panels from my comic in progress. 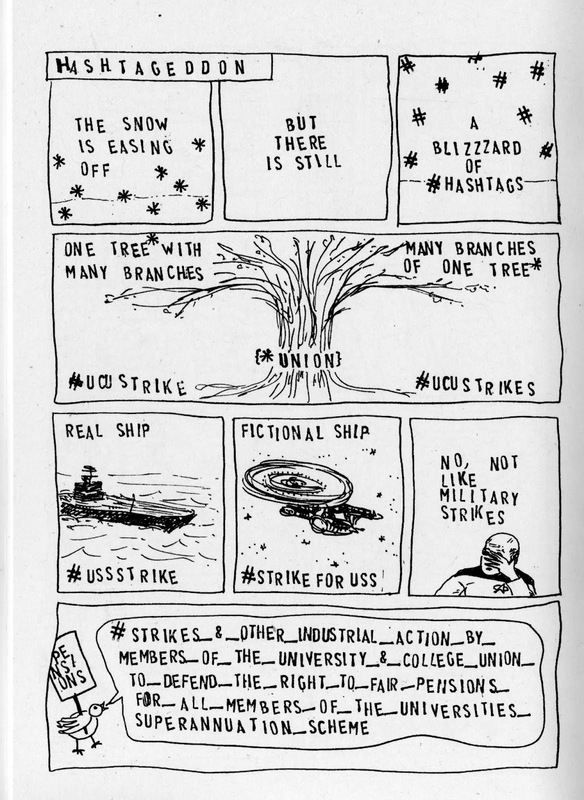 This is a collection of comics Lydia made while on strike in the University and College Union strike for fair pensions. It was in February and March this year, so it was very cold and snowed a lot. It seems a very long time ago now, but the pensions dispute is not settled yet. 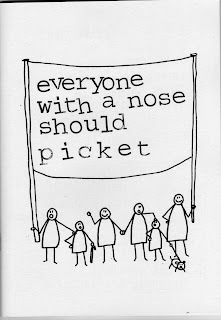 It was a proper strike with picket lines and placards, and signs saying 'Beep for the Strike'. Some people are very nice to the strikers, others make excuses. 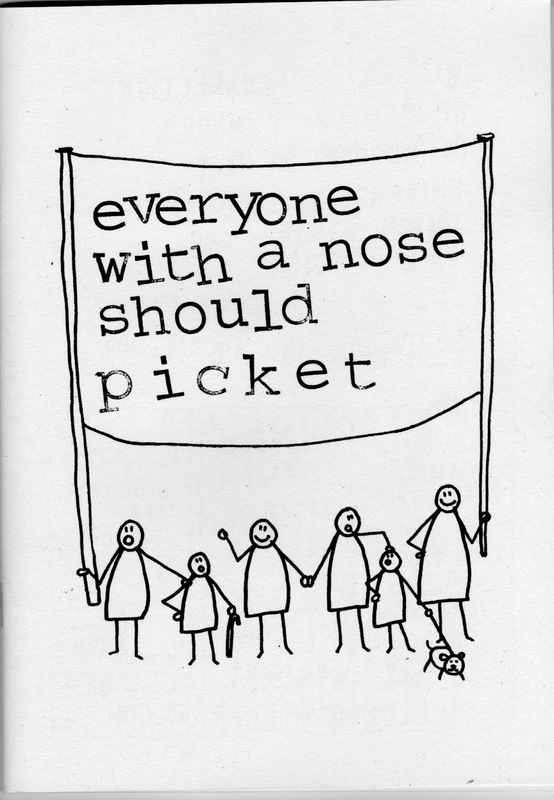 It's a diary type of comic going on for the first fourteen days of the strike, mainly with stick figures and very nice stamped lettering. They worry that no one will turn up some days as the snow gets really deep, but they carry on picketing. It's very good and interesting. Here's Lydia's website and shop. 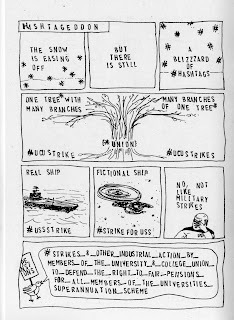 On the website is the whole series of her diary comics of the strike so you can carry on reading it after the pages from the comic, for all the rest of the strike. I've never had the chance to go on strike, we had one days strike back when I was a student but all we did was go to the pub early in the morning and then stayed there all day. 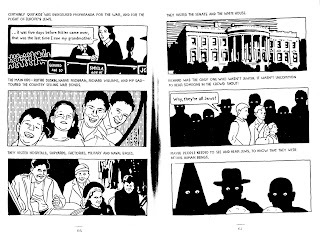 Here's another row of panels from my comic story in progress. 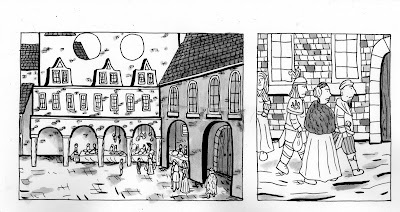 More panels from my Hanseatic story. I am now up to page twenty seven. 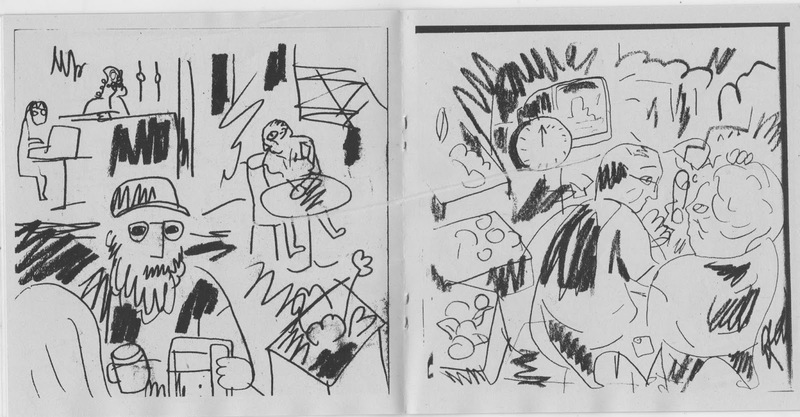 I liked this little square travel zine Simon has just brought out about his holiday in Athens. It's lots of different kinds of drawings and a few photographs. 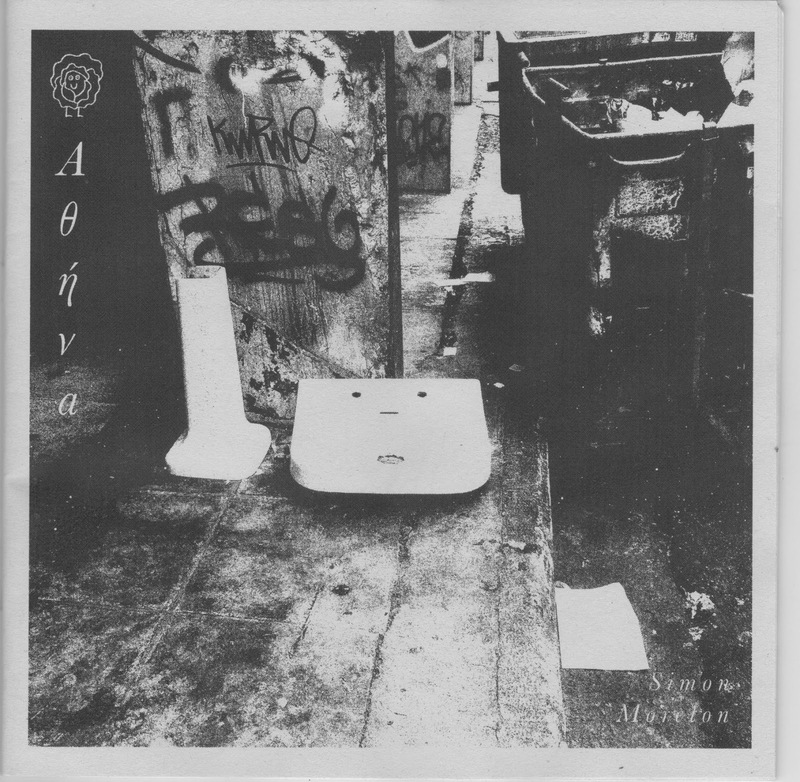 The sink fellow on the front cover is a nice character. I went to Thessaloniki last year, which was my first time going to Greece, so its fun to look at the drawings and see if I recognise similar things. He also sees a tortoise and a hoopoe and I never saw any of those. Highly recommended, I really like the square format, it works very well for these drawings. Here's a link to Simon's shop. 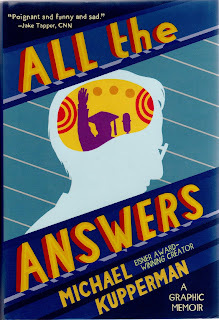 I really enjoyed Michael Kupperman's new book 'All the Answers' which has just come out. I have always liked his work, especially 'Tales Designed to Thrizzle'. 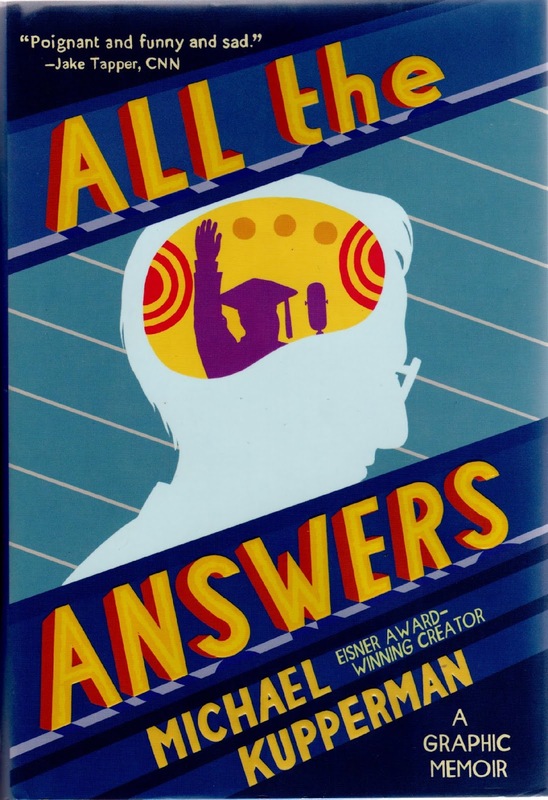 This book is a biography / autobiography about his father who was called Joel Kupperman and was a very famous child star on a weird radio and then very early tv show called 'Quiz Kids'. His dad met all the famous people of the time like Orson Welles, Harpo Marx and Abbott and Costello. Being on the show really messed his dad up and the family never spoke of it during Michael's childhood. Michael tries to work out what happened and how it affected his own childhood and his relationship with his father. Here's a good review of the book from Rob Clough. I really enjoyed the book and so it's highly recommended.The surreal-ness of his father meeting all the famous people in odd situations (and often not caring, as he doesn't know who they are) makes it seem a lot like Kupperman's other books at times. 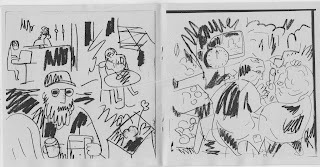 It also has a lot of emotions in it as Kupperman tries to work out why his dad was like he was.